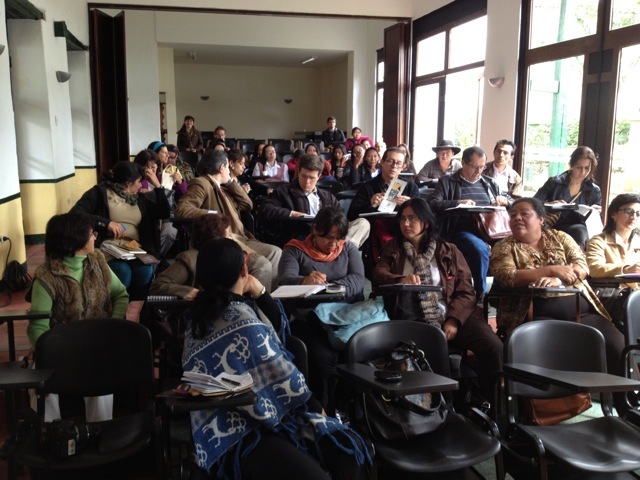 In October 2012, Dr. K. David Harrison traveled to Bogotá, Colombia, to participate in the 3rd annual “Festival de la Palabra” (Festival of Words) in honor of the diversity indigenous languages and cultures in Colombia. 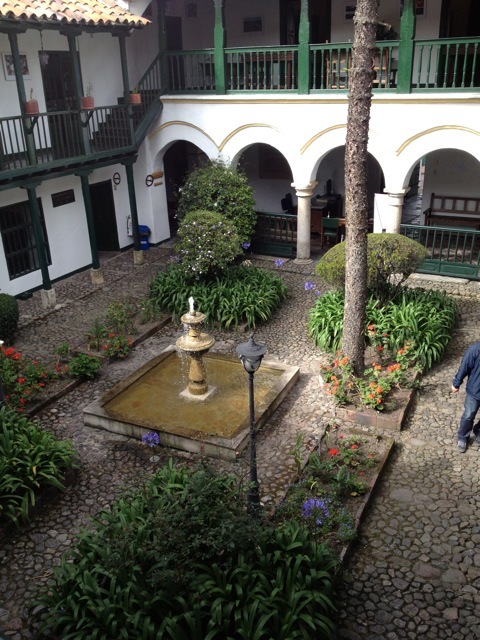 “El Festival de la Palabra Caro y Cuervo en su tercera versión está dirigido a presentar la riqueza cultural de diversas comunidades indígenas de nuestro país a través de manifestaciones culturales (música, danza, arte propio, medicina tradicional), esta es una oportunidad para compartir un espacio alrededor de la palabra. In conjunction with the festival, Dr. Harrison was also involved in teaching a Talking Dictionary Workshop. 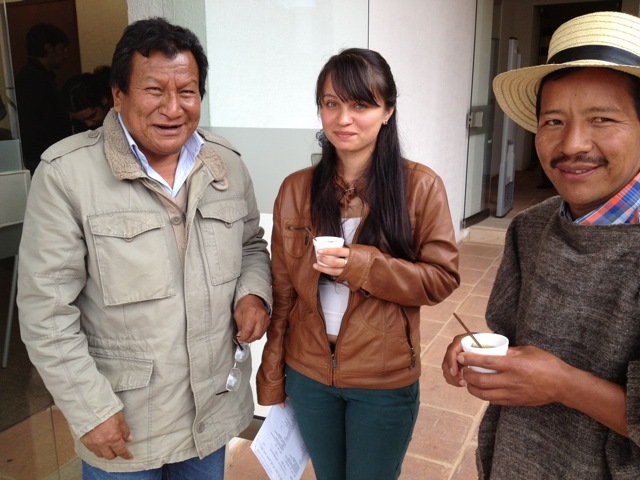 He met many leaders in the field of indigenous language activism in Colombia. Here are some of his photos, and the rest of the slideshow can be viewed on his Living Tongues photo album on Facebook. 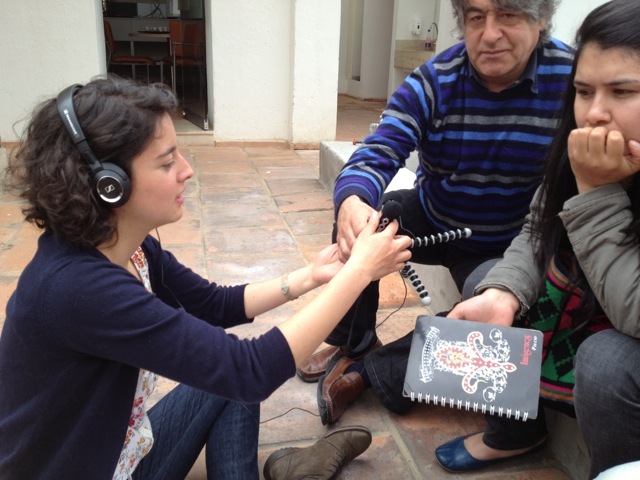 Prof. Eudocio Becarra (Uitoto language expert) with Páez (Nasa Yuwe) team members Yesenia Rincón Jimenéz and Anania Piñacue. This entry was posted in Digital Resources, Endangered Language Activism, Enduring Voices Project, Indigenous Language Activists, K. David Harrison, Language Hotspots, Launches and Public Events, Media and Publicity, Support Endangered Languages, Talking Dictionaries, Workshops and tagged colombia, digital activism, digital preservation, digital skills, festival de palabras, instituto caro y cuervo, k. david Harrison, language documentation, language revitalization, latin america, workshop by livingtongues. Bookmark the permalink.